During the Content Creation User Group meeting on Thursday, November 29th, Oz Linden announced that Linden Lab will be open-sourcing the code used within the Linden Realms game to content / experience creators. The aim of the move is to make the code available to (Premium) users wishing to build interactive experiences / games within Second Life, so they might study it, re-purpose elements from it, and even critique it. The release, when it is made, will be of the latest iteration of Linden Realms, which was updated in October 2018 to provide a completely new look and offer a broader range of game elements. It is also supported by end-user documentation on how to play the game, which might also be useful to experience creators in generating their own supporting end-user games. Making content like this available to a wider audience is something that has been requested on numerous occasions during Content Creation meetings. The move also fits into the broader pattern of the Lab involving creators and users in the development of capabilities within Second Life – as Vir Linden noted during the meeting when Oz made his announcement. Given that the code is to be open-sourced, it means that updates and improvements to it – or new capabilities / options added to it – could be contributed back to Linden Lab, and thus to others building experience-based games. The move is also potentially in keeping the Lab’s hope to increase the Second Life user-base. Games are an obvious means of attracting new users to a platform, and providing the means for creators to develop and run more comprehensive games using mechanisms that both work and which can potentially be extended and enhanced. Coupled with the means to bring users directly into said games – such as by the new user API and / or Second Life Place Pages (although the latter do perhaps require further enhancements themselves to be more practical) – they might come to assist in attracting new users. Time will tell on that. It’s not clear exactly when the code will be made available; as Oz linden noted, it requires careful checking to avoid the risk of code that could be exploited to the detriment of Second Life. Hopefully, there will be an official blog post when the code is made available to all. 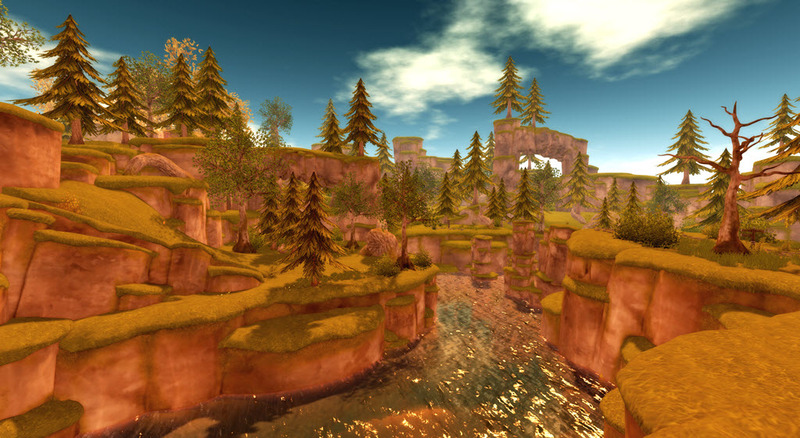 Since it first opened in 2011, Linden Realms has proved to be an enduring game within Second Life. It’s seem various updates over the years, with the most notable (until now) occurring earlier this year when the existing playing regions were effectively fire-bombed as a part of an ongoing saga involving the wicked Ruth, she of the villainy in Tyrah and the Curse of the Magical Glytches (see my review here) and named for the original default avatar of Second Life. On Tuesday, October 9th, linden Lab announced the latest revamp of the game, which sees it completely overhauled in looks and aims, building further on the backstory of Ruth and possibly – just maybe, perhaps – (I’m not going to give everything away) seeing the return of Old Boozehound himself, Magellan Linden. Anyway, I’m not going to go into great depth here, on account that LL have themselves with a veritable tome of documentation and images on the updated game. Suffice it to say, collecting crystals (exchangeable for L$) is still very much a part of things, so expect the new Linden Realms to be as popular as previous iterations. I can say the new look is refreshing when compared to the old, and the detailing such that the locations spread across the 12 regions of each game area shouldn’t place too much extra load on things when avatars are running hither and thither in their hunt for crystals and amulet bits. The game HUD has also been nicely updated, and looks the part – the old one really was looking long in the tooth. As always, accessing the game is done via the Portal Parks (links below). As with previous iterations, those new to the game will have to accept the experience to gain access, but if you’ve previously played and have not revoked the game, you’ll be automatically granted access. And no, this isn’t anything to do with Project SSR 😀 . More is promised by the Lab on Linden Realms, by way of an article on how this new version was developed and built, as a part of the Lab’s efforts to show creators how tools such as Experience Keys might be used. *Yes folks, A Dallas reference! Note the portal Parks and Linden Realms are all rated General. Linden Realms, first introduced by the Lab in 2011, has proven surprisingly popular among residents. An early example of the Lab’s (then) nascent experience tools, the appeal of the game is – in part at least – its relative simplicity (coupled with the Linden Dollar rewards). In short, players are delivered to a 12-region location (there are several – all identical – on the grid) – where they can receive a game HUD and instructions. Then it is a case of running around the landscape collecting crystals which can be exchanged for Linden Dollars. Crystals come in three colours, reflecting their rarity / value, and they can be collected by running over them. However, this being a game means there are a range of hazards – from the rock monsters patrolled the regions and which will chase you if you get too close, through to toxic waters, fireball-spewing rock carvings, treacherous caverns and so on. However, no-one actually dies from these hazards – being “caught” by any of them will lead to players being teleported to one of several “resurrection circles” (generally the one closest to the point where they were “caught”), and then they can resume the game. Or those are the basics. The game has been tweaked a few times along the way (such as being opened to all SL users a month after it opened, rather than remaining Premium-only), and on Thursday, March 15th, the Lab announced the latest of these tweaks: a new fiery look for the Realm regions. In a very brief back story, it seems the wicked Ruth (she of the villainy in Tyrah and the Curse of the Magical Glytches – see my review here) has used Magellan Linden’s coffin (launched into space as part of the prologue to the Tyrah story), to divert a comet so it has crashed on the Realms, leaving them in flames (technically, it should have flattened them, but I’ll push the space fan in me to one side 🙂 ). From the – admittedly brief – time I spent there, game play is still the same as previously, just now within a lurid, smoky-orange environment where trees and building equally burn. How long it will remain so is hard to say, but right now, and allowing for the aforementioned point that Linden Realms has retained popularity through the last 6+ years, the new look and feel does appear to be attracting the curious and encouraging them to play. If you would like to play Tyrah and the Curse of the Magical Glytches on this parcel (and many others) you need to be wearing a HUD and a weapon for collecting Glytches. If you do not have a HUD or weapons for collecting the Glytches, you can collect them from Hartyshire (144,126,23). You can read more about the game Tyrah and the Curse of the Magical Glytches at this URL: https://wiki.secondlife.com/wiki/Linden_Lab_Official:TCMG. And happy hunting, whether it is for crystals or Glytches – or both. On Monday, September 18th, 2017, Linden Lab announced the launch of their latest Experience Key based game for Second Life users to enjoy. Entitled Tyrah and the Curse of the Magical Glytches, it is something of a departure from previous games such as Linden Realms, PaleoQuest and the Horizons adventure. Not only is it grid-wide in nature (the first time Second Life experiences have been used on a grid-wide basis), it will in time also allow parcel holders to host the game on their land if they so wish – possibly attracting traffic to their locations. I was able to see and try the game ahead of its launch, and thought I’d offer an overview and some feedback, as well as take the opportunity to ask a few questions of Dee and Patch Linden about the game and the reasoning behind it. 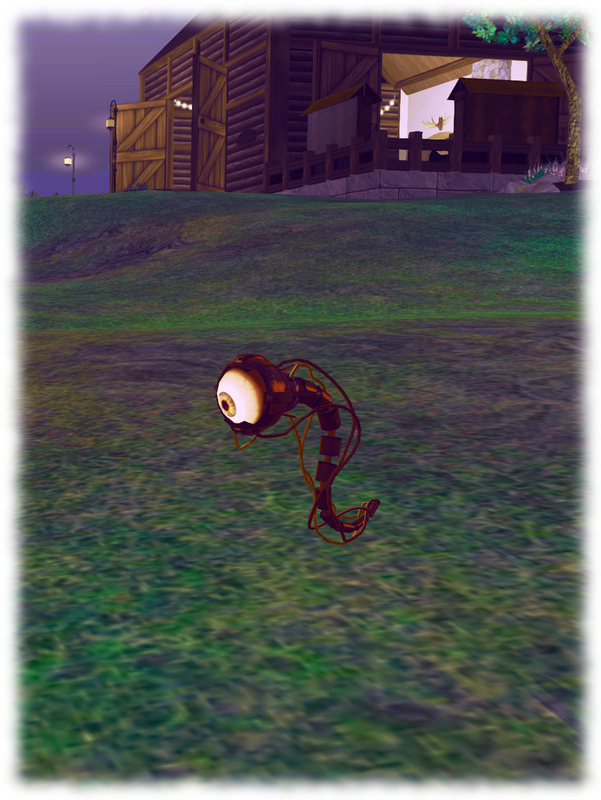 Capture mischievous Glytches as they wander SL and perhaps gain gems from them, and / or an immediate prize of a Glytch – which might be a shoulder / head pet, held pet, or follower (all of which can be traded between users) or even complete avatars. A video outlines the game’s back story. I’m not going to say much on this other than, “alas, poor Magellan, I knew him, Horatio. A fellow of infinite drinking ability and most assured desire for food…” – or something (with apologies to W. Shakespeare, Esq). There are several aspects to playing the game, which are covered in another video; but for those who prefer to read things, I’ve outlined them below. Obtain a game Starter Kit: with everything needed to start playing: a note card of instructions, the game HUD (see below) and a jar – your first Glytch catching weapon. The kit is delivered as a folder to your Inventory. Upgrade their Glytch catching weapon: use gems given by Glytches to upgrade from jar through swatter and net to gun. Each weapon improves the chances of catching Glytches. Replacement weapons can also be obtained here. Claim Gem Lottery Prizes: contains prizes from the Lab’s previous games, split into three groups – Common, Rare and Epic, corresponding to the three gem colours – Green, Pink and Blue. Prizes in each category can be obtained by redeeming the required gems of each colour. The Gift Shop is where visitors to Hartyshire can collect game-related free gifts and hatch their SL14B gift egg to gain their first Glytch. The Bonus Region teleport portals – of which, more below. To play the game, players must wear the game HUD. Removing this at any time stops all game-play, saving the player’s current status (e.g. gems taken, current weapon upgrade, etc). Players can re-join the game at any time simply by wearing the HUD once more; there is no need to return to Hartyshire in order to do so. The Glytch catching weapon can also be worn, although the game will also function without it. With the HUD worn, players click the Next Loc(ation) button to teleport to a location where they can hunt Glytches. On arrival, the Map can be opened to see where the Glytches are. A maximum of five Glytches can be caught per location, after which players should use Next Loc to move to another location to continue the hunt. At the moment, Glytches can only be found on assorted Linden / LDPW regions and parcels. In the future, residents will be able to apply for their land to be added to the game – of which more anon. 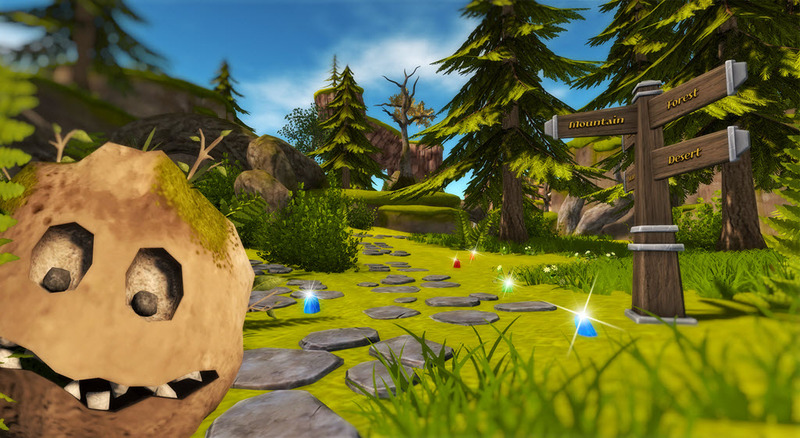 Glytches can be hunted in either first- or third-person view, but must be captured in first-person (Mouselook) view by clicking on them with the left mouse button. Note the range at which a Glytch can be caught varies with the weapon being used, and not all captures will be successful. A failure to catch a Glytch can result in it casting a spell on the hunter. They’ll also use spells if startled or to protect one another. Spells vary from silly dances to anvils dropping on heads, but they will allow the Glytch to escape by de-rezzing (another will rez nearby). A successful capture will result in a cage appearing around the Glytch and a message displayed on the game HUD. The Glytch may also offer you a reward. This might be gems or it might be a Glytch prize – or both. Note that when a glitch prize is given, players must switch to third-person view (ESC) and Accept the Glytch via the notification displayed in the top right of the viewer window. Failure to do so may result in the prize being lost. If the notification collapses before it is clicked on, it can be re-opened via the Notifications tray. To help keep the game fresh, new Glytches will be added over time A wiki-based Glytchopedia will also be published in due course, listing all the Glytches. Update, November 19th: some users on TPVs may find the gun used gun in Quest 3 of Horizons Experience doesn’t work with their viewer. The Lab is aware of the issues, and is investigating options for a fix. For the moment, those affected will need to swap to the official viewer, but only for Quest 3. Full details can be found in llTakeControl issue and the Horizons Experience. On Tuesday, November 15th, Linden Lab announced a new Mainland community initiative called Horizons. First hinted at during the Meet the Lindens talks at SL13B in June 2016, it became the subject of widespread speculation when two testing environments related to it appeared on the Second Life world map in October, with Patch Linden further stirring up interest by posting some teaser images to his Profile feed. Picking up on the SL13B hints, I contacted the Lab with the idea of covering Horizons. Patch and his team were very receptive to the idea, and as result, I had the opportunity to tour the regions ahead of the opening, and learn more about Horizons from Patch Linden and Naughty Mole of the Linden Department of Public Works (LDPW). In short, Horizons is a new themed Mainland residential community built around a central, 6-region gaming environment called Horizons Experience. As I’ve covered the community aspects at length in New Horizons in Second Life, this article focuses solely on the new six-region gaming experience. Horizons Experience essentially builds on the Lab’s work with PaleoQuest, the dinosaur themed adventure which opened in July 2015 (see Experiencing PaleoQuest, the Lab’s latest adventure in Second Life). As with PaleoQuest, players are tasked with completing a number of quests and multiple tasks in order to come to the rescue of Magellan Linden’s assistant, Tyrah, who is in deadly peril at the paws of the nefarious Doctor Talpa. Note that the game is on Adult rated regions, but this is not reflective of the games content. “PaleoQuest was our most recent gaming project that we had put out at scale,” Patch said as we discussed the game ahead of our tour. “We took from that a lot of the game mechanics which people really enjoyed and liked, and we’re including them and a lot of new elements within the Horizons Experience. Horizons Experience can be accessed in a number of ways. Anyone in the Horizons regions can fly to the central gaming regions, or they can use the teleport portals located at the Horizons info hubs and community centres, and which are scattered across the residential regions. Direct teleport via the map is possible, and there is also a Horizons Experience gateway at the Portal Parks. Naughty added, “When people first arrive, they are given the choice of being a player or an explorer. If they selected ‘player’ they are registered for the game and receive a HUD. If they remove their HUD, they become an explorer. If players leave the game regions, their HUDs are automatically removed. However, all progress up to the point where they removed their HUD is saved. “Returning players arriving at the start area can use the Portal Room to jump directly to any quest they have previously completed, or go to the Quest they were on when they left the game. So, if someone left while trying the third quest, they can use the Portal Room to get to quests one, two or three, but they will not be able to jump to quests 4 or 5. In 2012, Loki Eliot created The Well, a horror themed mystery adventure about attempts to rescue a little boy who had fallen down an old well and into the labyrinth of tunnels and caverns which lay beneath it. In 2013, he followed this with The Well: Sollicitus. Set a year later, it set players the challenge of discovering what had happened to a science team that vanished while exploring the labyrinth. Now, in 2015, comes the third instalment of this unfolding story: The Well Infirmos. Set some time after the events of 2013, it places the player in a mental hospital. how they got there, they have no idea – but perhaps it was a result of their experiences beneath the well. But there is something strange out this hospital: the staff and other patients have vanished, and while the wisest move would be to simply get out of there, the only way to do so is by investigating what has happened; something which means an eventual return to the well and its caverns. The Well is an Experience based game, requiring the payment of a one-time fee of L$100 to the vendor at the landing point, which registers you to play the game as often as you like. Once paid, press the Start button on the vendor to receive the game HUD, which will auto attach to the bottom of your screen, and will self-destruct on leaving the game area. Should you return another time to play again, simply click the Start button on the vendor to receive a new HUD. Once you have the HUD attached, approach the Well to view a brief introduction to the game before you arrive in the day care room of the hospital. Here you must explore the various rooms and offices – door will open as you reach them, and your camera will auto-focus on items of interest. You will need local sounds enabled, and make sure you have the volume turned up. I don’t want to give too much away, other than to say the child’s drawing you find around the hospital are of import. However, you’ll know you’re on the right track when you emerge from the Security Office after seeing / hearing everything you need, to find the hospital strangely altered and the day care room is now dominated by a huge hole which offers you the only way forward. And so you return to the tunnels beneath the well, and you must find your way through them using the teleporters, which may either carry you forward or backwards, and avoid the child-like Shadows. A direct encounter with this will affect your sanity, as shown on your HUD, and if this drops to zero, you will be returned to the landing point and have to start over. You’ll also be returned to the mouth of the well when you have successfully reached the end of the game – and receive a little prize as a memento. Those who have played previous iterations of The Well will find this latest version familiar – which doesn’t make it any the less interesting. The major change is to the start of the game when your are in the hospital, but “down below” in the caverns has also been given a few new wrinkles. If I’m honest, moving around some of the hospital rooms can leave your camera on the wrong side of a wall and it can also be a little tricky getting close enough to some of the drawing to auto-focus on them, but not to the extent that the game is spoiled. Overall, The Well: Infirmos is an engrossing third instalment to the story, which I enjoyed as a returning player, and Jodi and Andi, who took to the caverns as first timers, reported they had a great time playing. And if you have an Oculus Rift, make sure you use it when playing – The Well is fully suited to complete VR immersion.